The weekend before Labor Day, I was watching Ken Burns who was a guest on Late Show with David Letterman. He has a new documentary on the National Park system. I came to the realization that I’m about to get really busy at work because of the new game I’m working on and that would mean that this might be the only time that we can go camping for the rest of the year. We drug the camper from Florida to Texas and back again, not using it for the past two years. One week notice usually isn’t enough time in order to get a camping spot. We were lucky. Jennifer just kept going up the coast until she found an open slot. We ended up with Anastasia State Park in St. Augustine. I left a few hours early from work on Friday and Jennifer had the camper all ready to go. It took us an hour an a half to get there. We were pretty lucky again. We didn’t know that the gate at the campground closed at sunset. We were there about 15 – 20 minutes before they closed. It was that point that our luck ran out. Once we got the camper set up, we found that the air conditioner was no longer working. We knew something wasn’t going to be working since it was sitting idle for two years, but we were hoping it wasn’t that. I had the girls jump into the truck leaving Jennifer to continue to set up the camp. We used the iPhone map to find the closest Wal-Mart and went to look for some small fans that we could use. We found some and it help a lot to keep the air circulating in the camper. 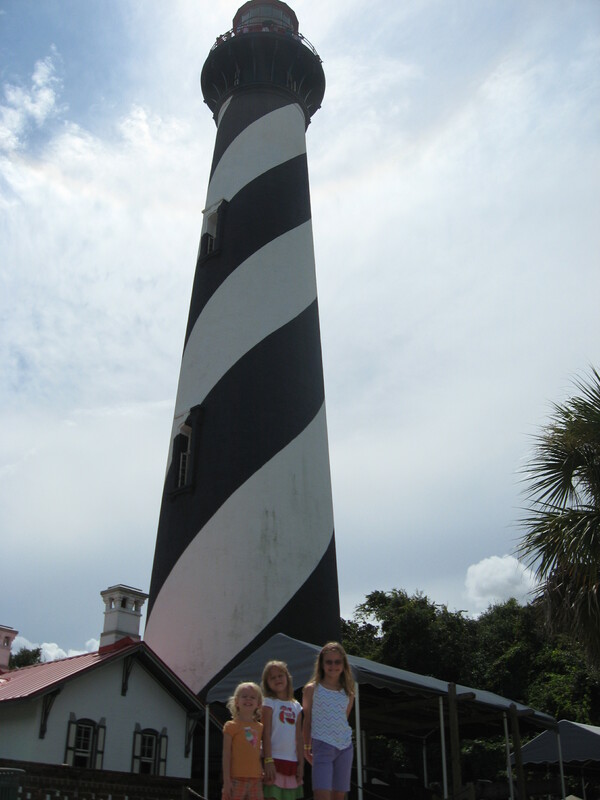 The first day, we wandered around St. Augustine and visited the Lighthouse. Izzy was too small to go up, so we had to take turns climbing the long staircase to the top. Emily had no fear standing at the edge and looking straight down. It was amazing how far we could see once we were at the top. 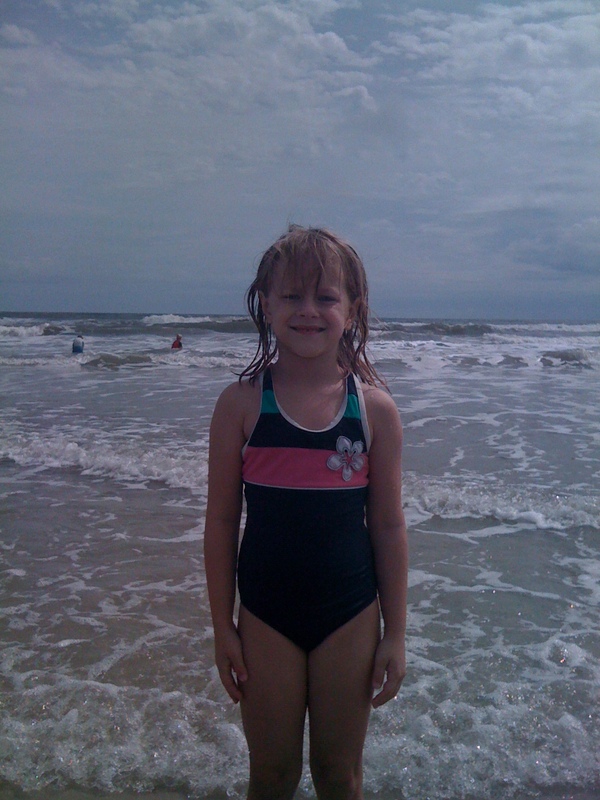 The second day we spent most of the time at the beach. It was pretty nice that the campground was under tree cover, but the beach was less than five minutes away. 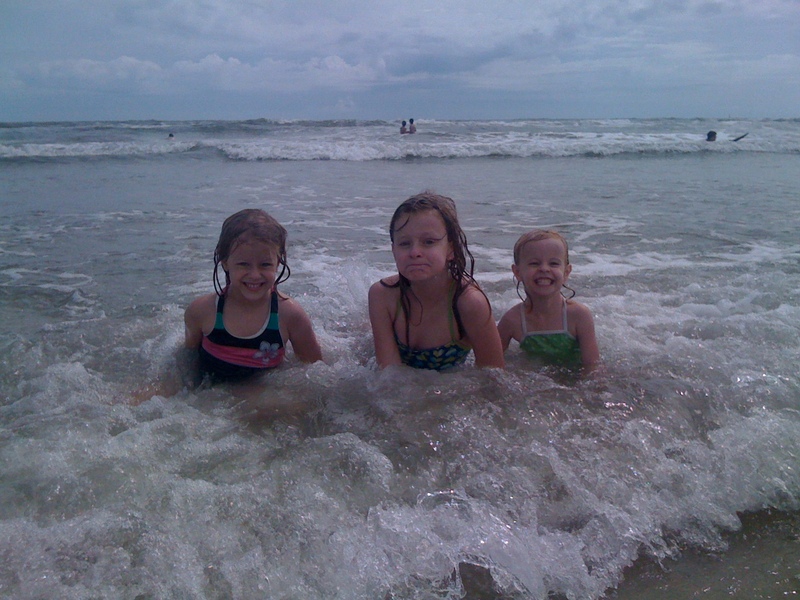 The girls loved jumping in the waves and playing the sand. Eventually Jennifer and myself started cooking even though we kept putting on sun screen. We even had a few people tell us that it looked like we were getting burned. When we got back to the campground we found out that we had a visitor. 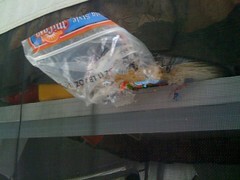 A squirrel (we assume) climbed up onto the side of the camper and ate through the screen in order to get to a pack of tortillas that we had sitting there. Oh well, we had no idea that the squirrels could smell that well. At least he didn’t get into the camper. All-in-all a great camping trip. It’s always great to get away from it all and just spend time with the family. I highly recommend the Anastasia State Park camp ground. I know we will be returning.